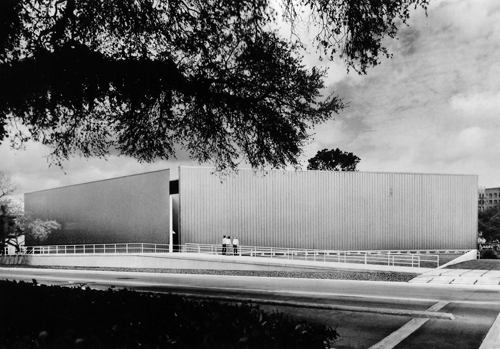 Exterior View of the Contemporary Arts Museum Houston, 1972. The Contemporary Arts Museum Houston (CAMH) is a non-collecting institution dedicated to presenting the best and most exciting international, national, and regional art of our time. Founded in 1948, the Museum prides itself on presenting new art and documenting its role in modern life through exhibitions, lectures, original publications, and a variety of educational programs and events. 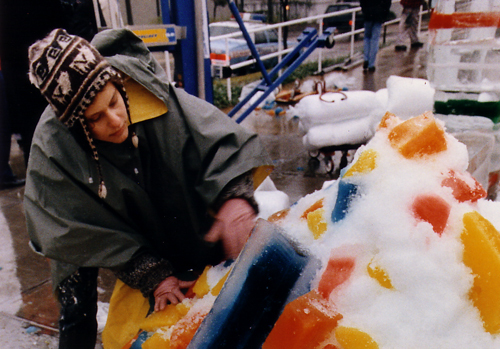 Artist Sharon Englestein assists with the installation of Bert L. Long, Jr.’s ice sculpture, Roma Contemporanea in 1992. CAMH occupies an iconic stainless steel building in the heart of the Houston Museum District. This highly recognizable building was designed for the Contemporary Arts Museum Houston by the award-winning architect Gunnar Birkerts and opened in 1972. The building’s two floors of gallery space offer six to eight exhibitions each year. 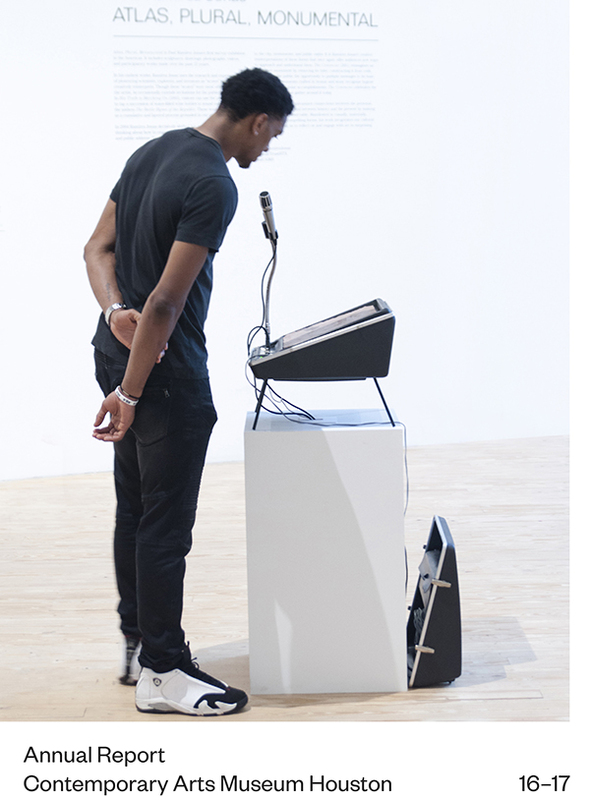 Exhibitions presented in The Brown Foundation Gallery feature work by leading internationally-recognized artists working at the vanguard of contemporary art, as well as thematic exhibitions organized around questions central to the nature of art and life today. 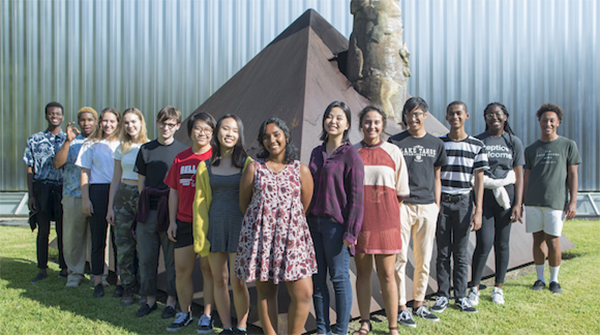 While in the Nina and Michael Zilkha Gallery, the focus is on work by established artists as well as those who are emerging and early in their careers. In addition, the Museum Shop offers yet another art-centric experience for visitors through an array of curated merchandise—the purchase of which goes to support CAMH programs and operations. Each exhibition at CAMH is accompanied by a publication, designed for use by scholars and the general public. While the catalogues provide lasting documentation of the exhibition, they also contribute to original knowledge and scholarship about contemporary art and the international discourse around it. CAMH is accredited by the American Alliance of Museums, the highest national recognition achievable by an American museum. Alliance accreditation signifies excellence and accountability to the entire museum community, to governments and outside agencies and to the museum-going public.